Over 1200 people are killed on our roads every year in Australia – What steps have you taken to stay safe? Work related driving is a major risk for employers with over 3000 employees killed in company vehicles in the last 10 years. Performance Driving Australia design and deliver defensive driving and 4WD driver training programs for all industries and driving environments. Performance Driving Australia Defensive Driving Programs will help keep you, your family and work mates safe. Programs are delivered at venues Australia wide by experienced, qualified and friendly trainers. 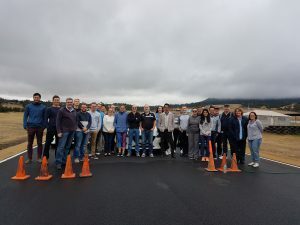 PDA driver trainers are passionate about driving and road safety and will work closely with each course participant to make sure they gain the most from the training experience. Performance Driving Australia driving programs deliver real, tangible outcomes that create safer, more knowledgeable drivers. Defensive Driving programs are suitable for all drivers. If you are on the road for work, a young driver just starting out or an experienced driver – the program will assist you in becoming safer and help you enjoy your driving. Our defensive driver training programs can include the following qualifications (RTO Trisector #52169). The Performance Driving Australia – Defensive Driving program will provide you with extensive knowledge in a friendly classroom environment followed by practical training in handling an emergency stop and hazard avoidance, all in a safe and controlled environment. 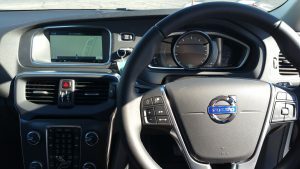 Performance Driving Australia Defensive Driving Courses help fulfil employers requirements outlined in WHS regulations for companies who have employees on the road. Attending a Performance Driving Australia – Defensive Driver Training Course could save your life! Our multimedia presentation stimulates group discussions and provides drivers with an opportunity to fully understand and appreciate the many aspects of safe driving. The presentation is fast moving, features real life scenarios and has been developed over many years to be effective and interesting. As an alternative, drivers can now complete the Defensive Driving program theory online prior to attending the practical component of the course. Defensive driver training courses are available Australia wide at our approved venues or on-site. They can be catered specifically for normal city driving, country driving or gravel roads. Suitable for drivers of all experience levels and all vehicle types training is delivered in the vehicle you drive everyday. Simulators and skid-cars are not representative of real life situations and are not used on any courses. Performance Driving Australia can include additional content or modify programs to suit your specific requirements, driving environment or existing policy and procedures. If your drivers operate on gravel roads – check out our Gravel Driving Course. Performance Driving Australia deliver trailer towing programs for organisations who tow equipment or machinery – large or small. Towing a trailer can be dangerous and effective training and practice can reduce the risks associated with operating a vehicle with a trailer. 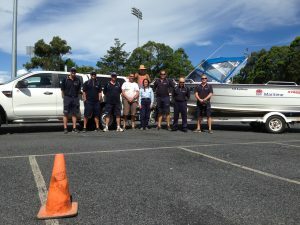 Trailer towing courses are available Australia wide. Courses include everything from start to finish including reversing and emergency braking. If you would like more information or to book a trailer towing program please contact us. Making sure your drivers are operating safely is a priority for any organisation large or small. 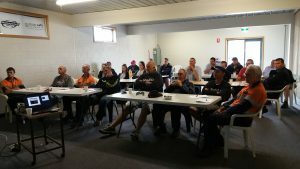 If you operate a fleet of vehicles and would like to encourage safe driving – Performance Driving Australia can come to your workplace and deliver a road safety presentation followed by on road training/coaching or assessment session. On road sessions are usually done on a 1:1 basis and provide valuable feedback on each driver’s performance. This is a great alternative to a full day program and can assist all drivers in becoming safer. This is also suitable for Buses and Trucks. Contact us for more information on this service.